This Haiku is shared with Haiku Horizons - Steam. Palm’s Foster Home for Peculiar Stories is a collection of short fiction written by C. G Salamander. In this book you will find: English colonizes; Somalian pirates; Somalian pirates pretending to be English colonizers; a few spies; a zombie with an existential crisis; an evil bowl of soup; a ghost cow; a priest stuck in a chicken’s body; a few vamp-iyers; some backup dancers; a couple of orphaned brothers; God; some rowdy farm animals; a mad scientist; Death and all his friends; an incompetent angel; some deranged occultists; some not so deranged occultists. You will also find: an armadillo; a few porcupine; an effigy; a ghost named Prya; some advice on stalking; wasp creatures who start conversations; a T-Rex; and a very old man. There is chaos and pandemonium in the streets of Madras, and it is up to Nigel (an officer of the Imperial Police) to restore order to the city... only he hasn't quite learned about India's Independence. Yet. It was exactly fifteen years ago that C G Salamander realized he was different from all the other Chinese Giant Salamanders. As a child C G Salamander hated living in the muddy crevices along the river banks, and so he decided to leave the Yangtze river and set out on a quest to find himself. He spent days travelling across the vast terrains of china and finally reached the foothills of the Himalayas. With nowhere to go, and equipped with a childlike sense of wonder for a compass, C G Salamander began scaling the Himalayas where he would later enroll himself in a monastery. During his time in the mountains, he was taught how to read and write by foreigners who’d come to partake in the mountain’s rich culture and cheap herbage. He spent most of his time in meditation, and eventually learned how to move objects with his mind.After spending a decade in the Himalayas, C.G Salamander traveled south to the city of Chennai, and has remained there ever since. He now spends his time telekinetically moving pens and pencils across paper. Palms Foster Home for Peculiar Stories is his first book. One look at the cover and you know, this is not the usual fare, nothing like the ones you have read before. In fact, this is going to be different. Really different. Don’t judge a book by its cover, but you can surely pick up one. Judging should be based on what lies enveloped between the front and back covers, and that’s exactly what I will be doing here. Right now! I was fascinated by the front cover, big time. Turn it around and the back cover looks fascinating too, with the blurb encrypted in white. This is where it gets interesting. The blurb denotes that this book is going to take you on a fantasy ride, with dollops of imagination. Did it serve the right concoction? 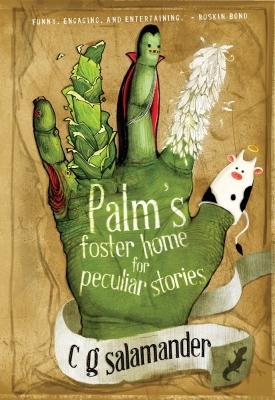 'Palm’s Foster Home For Peculiar Stories' is divided into three parts, each comprising of stories weaved in interesting and unique backgrounds. In the first part, we get to read about Nigel, a British Police officer, who is ignorant of the fact that India has gained independence and has aspirations of meeting the Queen, only that the Queen in question is someone that he or the readers did not expect to be. The story then unfolds how Nigel meets his lady love, who keeps on coming to his rescue whenever he is in a fix, and the quirkiness of his brother in law, who doesn't like being told what to do. There is a lot of action going around in this story, and the humour is well encompassed in the lines, making you laugh like mad on numerous occasions. Yes, madness defines this book perfectly. But it’s the second part of the book where the author, C. G Salamander, has crossed all thresholds of eccentricity (God! How can someone have such a powerful sense of imagination! ), and has roped in characters that make you sit up and take notice. There is a cow (that too a ghost), a number of zombies and their prophet ‘Murali’, and the Celestial Cabbage, who wants to rule the world with the new faith, Cabbagism. As you can guess, what follows is a crazy riot, with each chapter bringing forth the stories of the characters. Kudos to the author for being successful in binding the strings and not leaving any loose ends even though he was dealing with such a large number of plots and subplots. After the craziness of the first two parts, the third part mellows down a bit, and one wouldn't mind that, ‘cause the stories in this section are equally endearing. My favourite is the beautiful love story between the porcupine and the armadillo. The author even has tips on how to stalk someone at the beach, and it comes with a warning. There is also a fascinating tale of Denver the dinosaur and how he saves his two human friends from the clutches of the telekinetic mole – people. 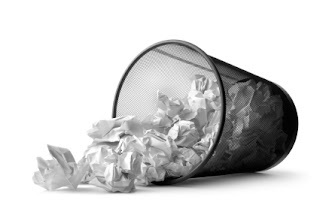 This is not a quick – read, by which I mean you may not be able to complete it at a stretch. With a multitude of eccentric plots and fresh from the imagination fantasy tales, this book should be relished at a leisurely pace, sip by sip, letting the magic sink in. Yes, magic it is, and like an accomplished wizard, the author manages to steal our attention to his unique style of storytelling. This is not just a book, but an experience, that blends dreams into fiction, making them sound real, and fascinating. C. G Salamander shines on debut, his finesse on wordplay amazing, and his characterizations lively. This is a brave attempt by the author to debut with an unconventional theme. 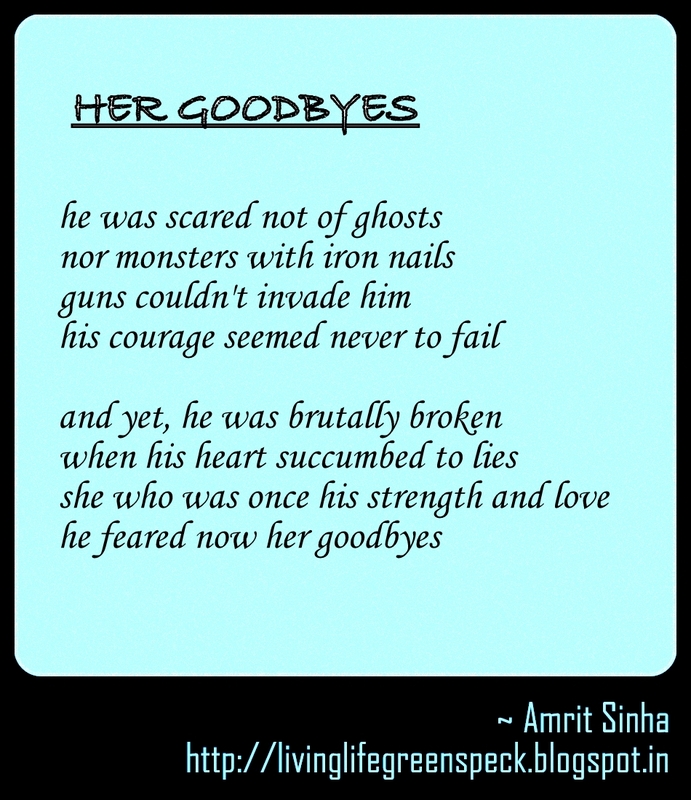 Grab your copies from Amazon or Flipkart. You can also find the book in Goodreads. 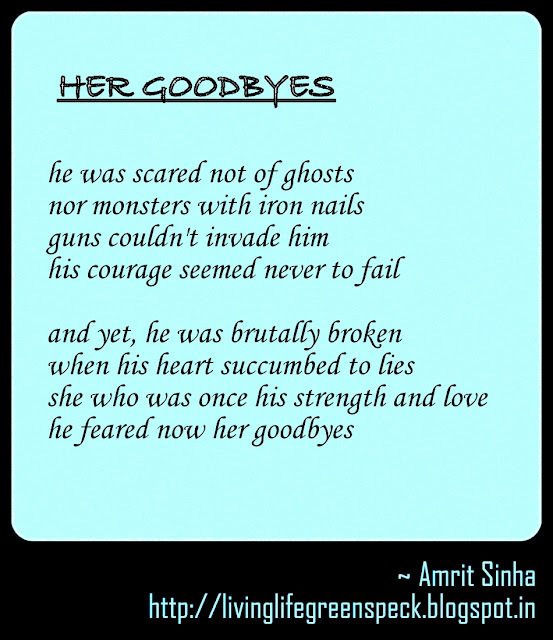 This Poem is shared with Poets United - Poetry Pantry.